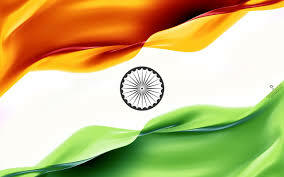 AIZAWL: The so-called Citizenship amendment Bill is facing stiff opposition in the Northeastern states of India. In fact, in Mizoram, Governor Kummanam Rajasekharan addressed an almost empty ground on the occasion of 70th Republic Day celebration at Aizawl. Civil society responded positively to massive protests and boycott call given by various organisations against the Citizenship Amendment Bill, 2016, and stayed away from the state function. The Republic Day celebration function was held at Assam Rifles ground, Aizawl and general public had boycotted the function, according to the local media. The bill seeks to bar Muslim migrants from Bangladesh to Assam and the Northeast as ‘infiltrators’ or ‘illegal occupants’ but turns a blind eye to other Bangladeshis who have crossed over the border – those who are non-Muslims. This year, the R-Day celebrations seemed to be low key. Generally, up to 30 contingents traditionally take part in the Republic Day parade, but only six armed contingents took part in the event this year. 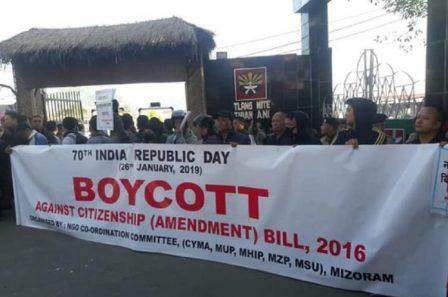 Protests are going on in Assam and other states of the North Eastern region against the Citizenship Amendment Bill (CAB), which aims to grant Indian citizenship to the Hindu, Sikh, Buddhist, Jain, Parsi and Christian refugees from Pakistan, Bangladesh and Afghanistan. the 70th Republic Day was celebrated in Assam and other parts of North Eastern region peacefully despite boycott called by eight banned militant outfits of the region.